Traditionally we have a lamb cake at Easter, so the plan was that I would make that, plus some cupcakes. So yesterday when I read on Inchmark about this recipe, I went crazy and knew that although from scratch would take longer, it really sounded worth it. I was right, they are AMAZING! 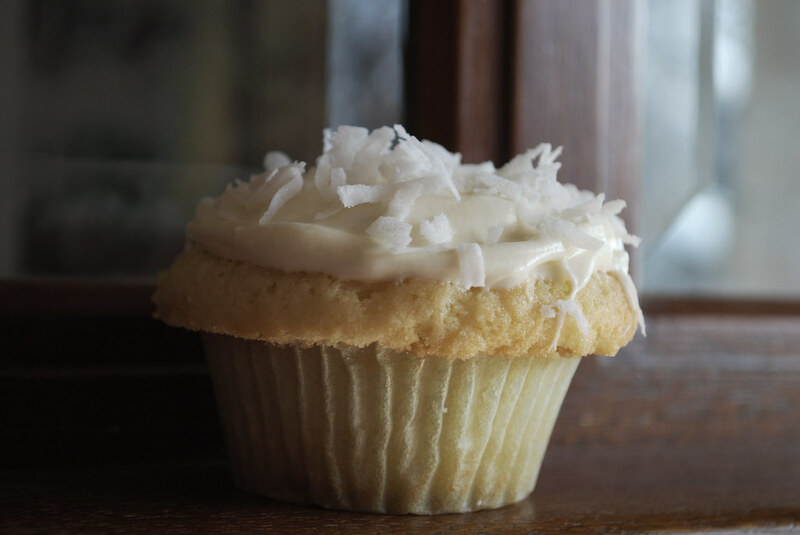 If you like coconut at all, make them. Here's my advice. Don't fill the cups as full as I did in the picture above (mine fused together). Also, the recipe says it makes 18-20. Even filling mine as full as I did, it made 24, plus a few minis (because I ran out of full size pans, and didn't feel like baking two rounds). And yet, there was still WAY more frosting than I needed. 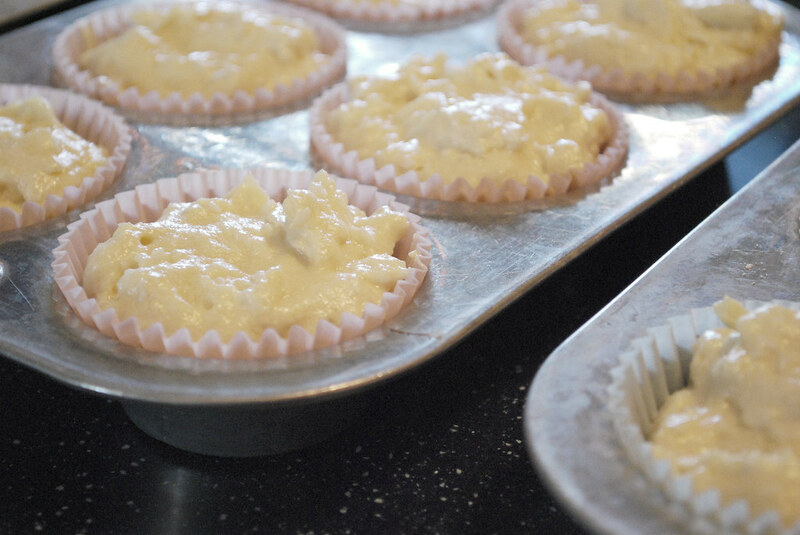 Enough that I'm going to make a coconut cake just to be able to enjoy the frosting. Mind you, the cake is fabulous too. Back to the lamb cake. For some reason, this cake always feels daunting to me. I'm not really sure why, but it is. So I talked to my mom and convinced her that we could just have cupcakes. The coconut ones, plus some others that I would make all cute. Mini is cute, right? 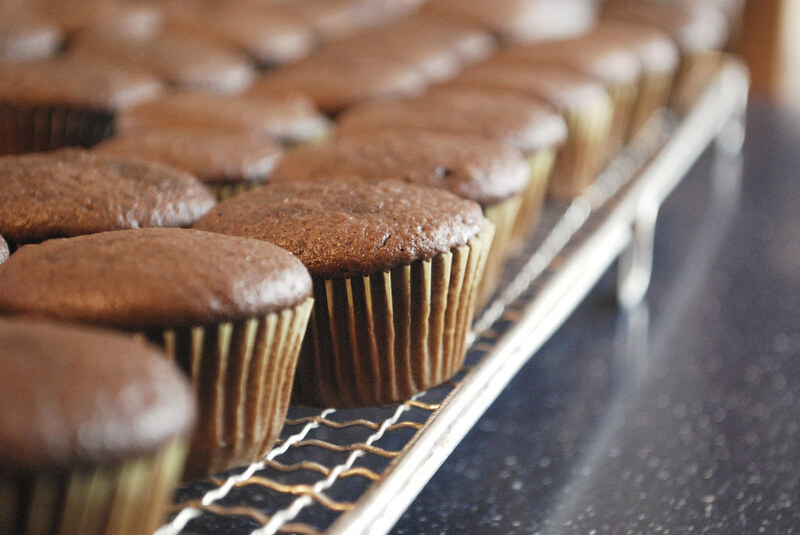 Well, one chocolate cake mix produced 72 mini cupcakes. That's a lot to start with. But then I went for actually making them cute. Decorating took a while. Probably longer than that blasted lamb would've. But I do think they were worth it. I tried out the bunnies and chicks 3 ways, and went with the version on the right for each. Aren't they sweet? The chick are my favorites, and my sister likes the ones where the frosting swirls a bit at the top of their heads and makes it look like a little tuft of feathers. 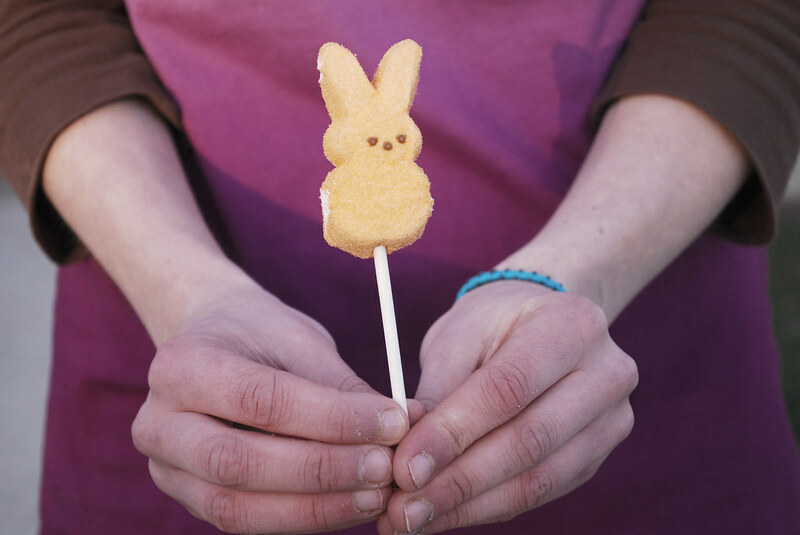 Wishing you and yours a sweet and blessed Easter! Your cupcakes are so sweet! 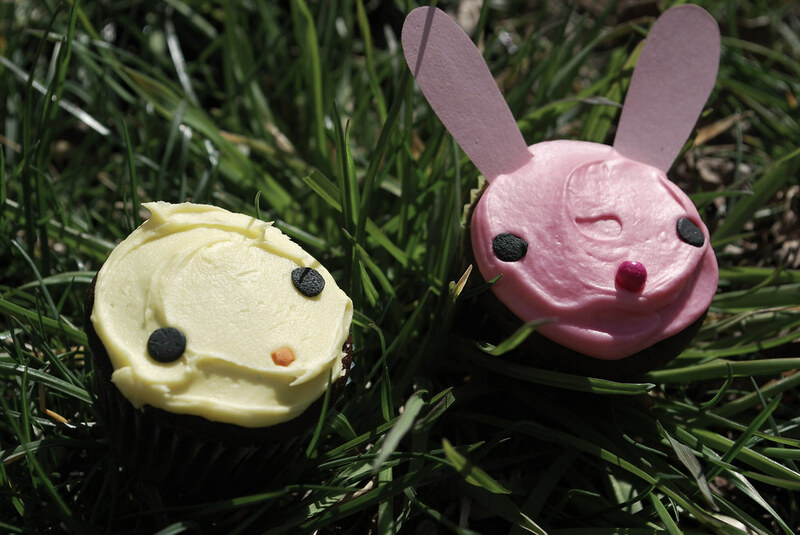 what did you use to decorate the bunny cupcakes?